Distracted Driving is defined by dictionary.com as “driving a vehicle while engaging in an activity that has the potential to distract the driver form the task of driving”. This includes but isn’t limited to eating, applying makeup, reading, and of course utilizing cell phone. For the purposes of this paper I want to focus on cell phone usage while driving. In 2013 The Center For Disease Control and Prevention conducted a survey. Participants between the age of 18-64 were asked to self report if in the last 30 days they had used a cell phone while driving. 69% of Americans reported that they had(Khan, Cisneros, Loftpour, etc at.). Driving while distracted takes your attention away from driving in multiple ways. Not only is it a selfish act, its illegal. Thousands of lives are taken each year by an act that is 100% avoidable. It’s up to each individual to make sure they aren’t distracted driving. If everybody decided to not drive while distracted then as a whole we would be insurmountably safer. Drivers who think they are great drivers and can multitask are wrong. As Angelo DiCicco the general manager of Youth Drivers of Canada put it “multi tasking is a lie… just having you eyes open isn’t enough to see a dangerous situation; your brain has to be engaged”. When drivers decided to use a cell phone while driving they are not only taking their hands off the wheel, but also cognitively they disconnect from the task of driving. According to “Distracted Driving: Prevalence, Problems, and Prevention”, “The act of having both hands on the wheel and looking forward does not guarantee the ability to react and adjust appropriately to changing conditions or unexpected events”(Overton, Rivers, Hecht). According to the Department of Motor Vehicle website When you take your eyes off the road for 5 seconds you cover the length of a football field. Not only is distracted driving dangerous its also illegal. The Federal Government had left distracted driving up to the states individually to write laws on the issue. In California vehicle code 23123 states ”A person shall not drive a motor vehicle while using a wireless telephone unless the telephone is specifically designed and configured to allow hands free listening and talking and is being used in that manner while driving.” Although the law is clear on such a dangerous act, the punishment just doesn’t seam to fit the crime. The vehicle code continues with “A violation of this section is a infarction punishable by base fine of twenty dollars (20) for the first offense and fifty dollars (50) for each subsequent offense.”Maybe if fines were higher more people would put their phones down. Break penal code 374.4 for littering and you will pay a minimum of 250 dollars, with a maximum of 1,000 dollars for your first offense. The punishment doesn’t fit the crime. 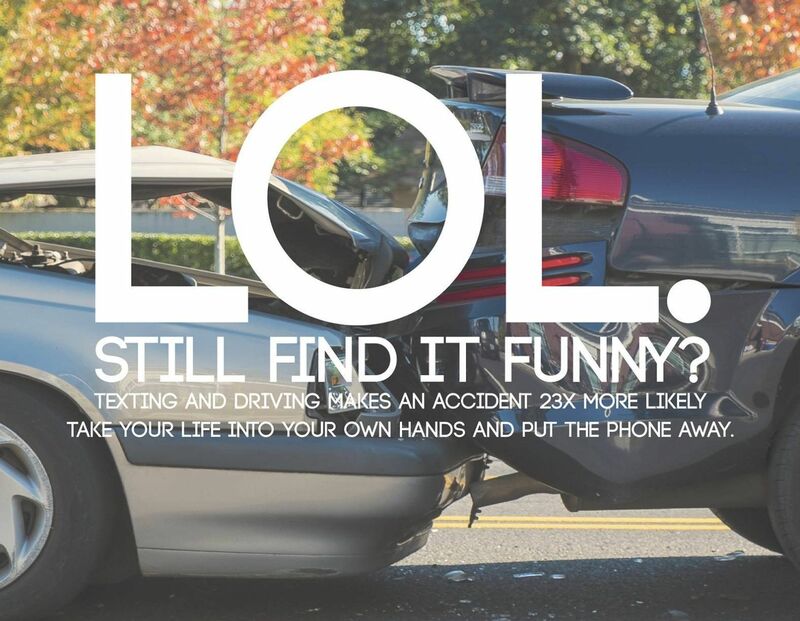 While it’s easy to look at number like “3,450 people killed in motor vehicle crashes involving distracted driver”(United States Department of Transportation) in 2016, and think it can’t or wouldn’t happen to you then maybe taking a look at some of the individuals stories may help to drive home the point that distracted driving kills and can happen to anybody. On March 31, 2006 18 year old Amanda Clark was driving home from a location she wasn’t familiar with. She was on her cell phone trying to get direction. While coming to a four way stop Amanda assumed she had the right of way. She was mistaken. Amanda’s car was struck by another vehicle and her car came to a stop after rolling three times. Amanda later wrote in her diary about her accident. She wrote “I believe everything happens for a reason, and the reason for my car accident is to let me know that I need to slow down and pay more attention. I know I need to change the way Iv’e been living my life. My phone and talking to my friends put me in danger. I realize how easy it was for my life to be over because I wasn’t paying attention.” Unfortunately Amanda epiphany was short lived. One year later almost to the date on April 1st 2007 Amanda decided to talk on the phone and drive yet again. Phone records indicate that while Amanda was driving she was talking and texting on her cell phone. While arguing with her roommate Amanda lost control of her vehicle as she careened down an embankment. “First Responders told Spray (Amanda’s Mother) it took 40 minutes to free Clark from the crumpled car, but by that point she hadn’t been breathing for 20 minutes”(Tracy).The body starts to rapidly deteriorated after 4 minutes without oxygen. Amanda was rushed to the hospital where she died the next day. Amanda’s Mother Bonnye Spray now speaks at high schools across the country to tell Amanda’s Story. Her advice “When you get in the car think of Amanda.” Amanda is just one of many people who has lost their lives to something so senseless. Although Amanda knew first had the dangers of texting and driving she decided to do it anyways. Her death was 100% avoidable. Although driving is dangerous in itself, according to Overton “Texting drivers are 23 times more likely to be involved in and accident.” While accidents aren’t always avoidable if everybody decided to put down their cell phones the roads would be safer place to drive. The National Highway Traffic Safety Website gives tips on dealing with distracted driving. At the top of the list is “Turn off electronic devices and put them out of reach before starting to drive.” Ideally one might say that even if the phone alerts that there’s a new message it’s a choice to check it. The fact is that once you start thinking about that message drivers become cognitively distracted from driving. Another tip from the NHTSA website is “Speak up when you are the passenger and your driver uses and electronic device while driving”. Offer to make that call fo the driver, so his or her full attention stays on the road.” Letting somebody drive and use a cell phone puts everybody in the car at risk. It’s up to us all individual to educate each other on the risks of distracted driving. As the Department of Motor Vehicles website puts it “One distraction can change your reaction”. This website has a video that talks about disracted driving. This video give tips and knowledge about distracted driving. I will use this cite as a reliable source because its from the Department of Motor Vehicles. I gave the relaibilty of this site a 10 out of 10. This article talks about how the United States compare to other countries when it comes to distracted driving. I will use this article because it was written by Doctors and its a different point of view from all the other articles. Im going to give this article a 10 out of 10 because I got it from a scholarly source. This article is a Royal Mounted Police’s view point on the distracted driving. The article talks about certain programs they are using in Canada. I will use this article to try to see about solutions to the United States problem with distracted driving. This article I got off of he Crafton Database so I’m giving this a 10 out of 10. This article talks about the dangers of distracted driving. It goes into how distracted driving impairs ability to operate a motor vehicle. Im going to use this to describe how driving hinders individuals ability to operate a motor vehicle. This article I got from Google Scholar and therefore I would give the reliability of this article a 10 out of 10. This Article gives a story of a female who lost her life to distracted driving. This article gives the victims thoughts on her first accident before her second accident. 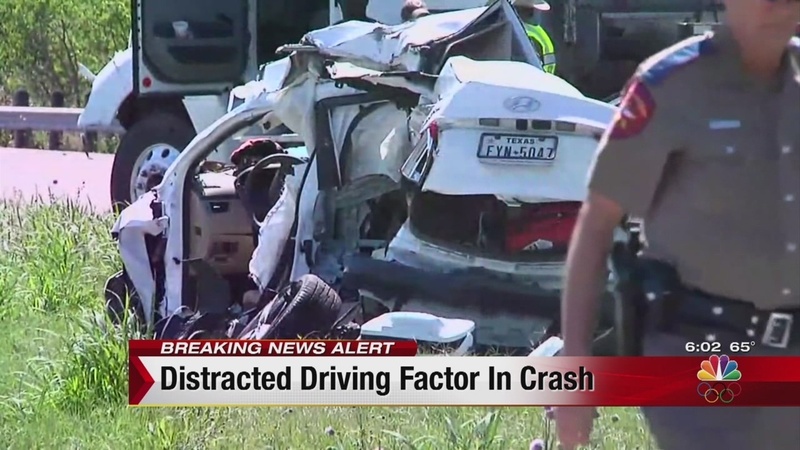 Im using the article to show what a problem distracted driving is. I give this article a 10 out of 10 because it’s the story of a family who went through dealing with the effects of distracted driving. This article talks about a campaign launched by National Highway Traffic and Safety Association and Department of Transportation regarding cell phone usage and driving. I will use this article for relatively up to date statistics of distracted driving. The article is on the NHTSA website. Although this isn’t a scholarly article it is written by professional in the field so i would give this article a 8 out of 10 on reliability. This article gives up to date data on distracted diving. I will use this article to give statistics on how dangerous distracted driving can be. This article is not scholarly, however I found it on the NHTSA website. Being that NHTSA governs driving I count them to be experts in this field. I give this article a 8 out of 10 on reliability.